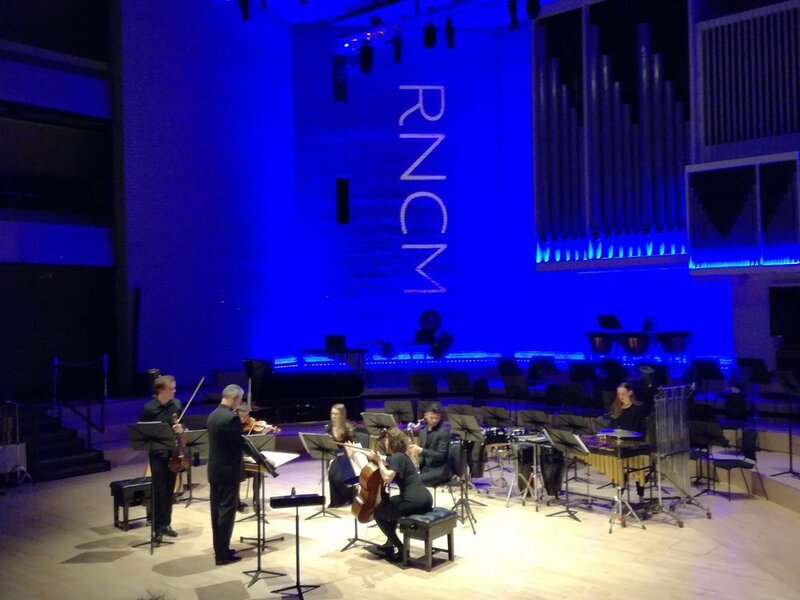 A typically busy autumn term at the RNCM saw me recording a CD of Martin Ellerby’s music with the Wind Orchestra, a classical programme of Mozart and Haydn with the Concert Orchestra, a major festival of the music of Kaija Saariaho, amongst several other performances. The conducting department welcomed David Hill as our new International Chair in Choral Conducting. As well as classes with David, there were also 4 masterclasses with Sir Mark Elder and 1 with Vassily Sinaisky. As always, the students also conducted in several public concerts each, and acted as assistant conductors to the BBC Philharmonic, Royal Liverpool Philharmonic, Manchester Camerata, Psappha, and Fodens Brass Band. I’ll be teaching a new masterclass organised by the WMC Kerkrade organisation in July. 3 days with outstanding professional ensembles promise to make it a fantastic event. A fantastic collaboration between the Nottingham Phil and the RNCM Opera Department saw a semi-staged performance of Act IV from Puccini’s La Boheme in October. Read the review. Adam Gorb's new opera, which I conducted the premiere of in June, now has a dedicated website here. You can also watch a video of the entire piece. After the exhilaration and intensity of the premiere of Adam's opera in June (review); a brilliant end to the Nottingham Philharmonic season ("And to end: Debussy's La Mer, in which Heron and the NPO ensured that every tiny detail, every flute flurry, every percussion stroke, every muted trumpet note was coloured and focused with pinpoint precision. 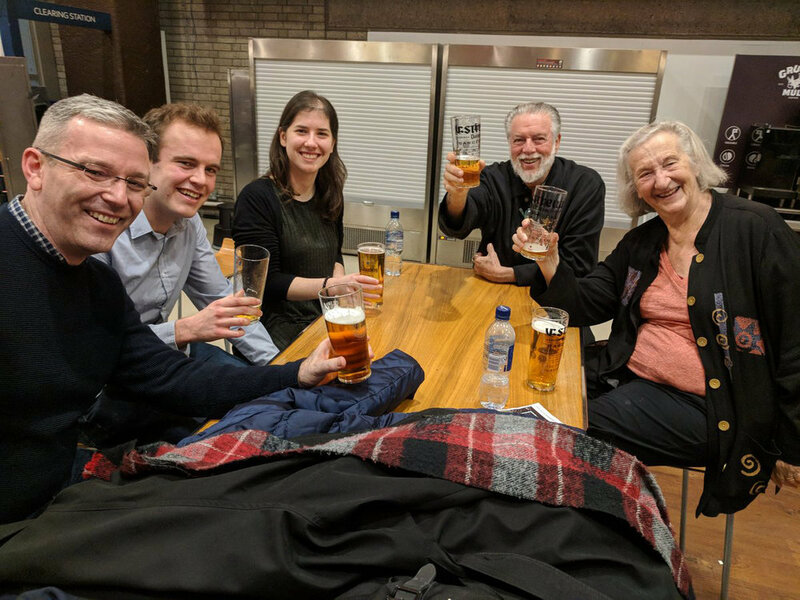 "); several fun projects in July culminating in 2 wonderful weeks at Sherborne (featuring the music of Torstein Aagaard-Nilsen) and the amazing Dirigentuka course in Stavanger; it's finally time for a break! Dates for the autumn are now on the schedule page. Delighted to have been able to put together this exciting project with my colleagues Morten Wensberg in Stavanger, and Andre Granjo in Aveiro. We'll be developing a MOOC and researching approaches to the use of technology in the teaching conducting. I'm delighted to be working on the world premiere of this new opera by Adam Gorb, on a libretto by Ben Kaye. "A powerful tale of extremism, expedience and deceit, The Path to Heaven exposes the disintegration of the loves, lives and hopes of a family struggling to survive during the Holocaust. Sara, Hanna, Dieter, Magda and Hans return home from a party to find that having ‘danced too long in the moonlight’, evil stalks them from the darkness. The discovery that their adoptive parents have disappeared triggers a descent into a nightmare from which none will escape unchanged. A meticulously-researched series of individual real stories has been woven into a thrilling new opera for the 21st Century." The first performances are in Leeds on 19th June, and Manchester on 21st June. The RNCM Wind Orchestra's latest recording for the Chandos label is now available for download on the Chandos Website (in their fabulous 24-bit Studio quality if you wish!). CDs released next month. Information about this conducting course in late July/ August is now available here. It's a great week with a very international flavour, and as well as colleagues Bjorn Sagstad and Alberto Roque I am delighted that we will feature Torstein Aagard Nilsen as composer in residence. 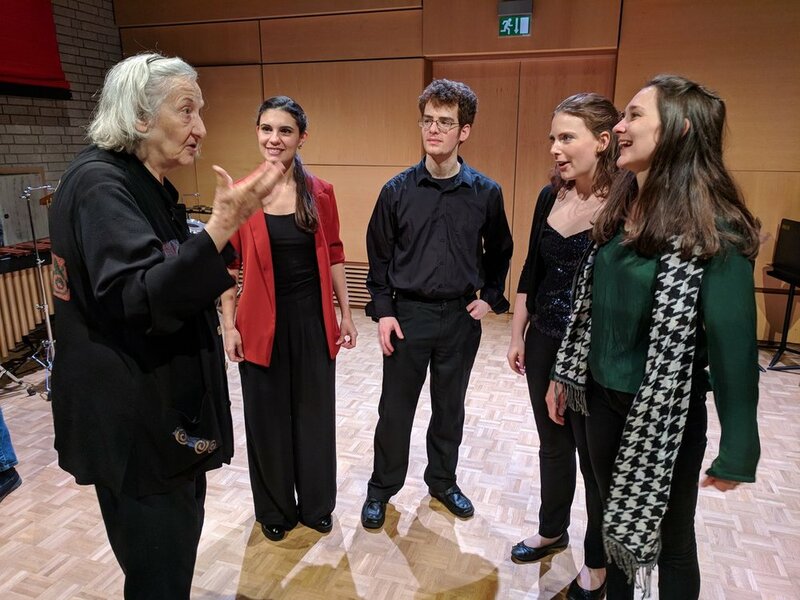 It was a huge pleasure to welcome Thea Musgrave to the RNCM for a major festival of her music last month. Her generosity towards all of the performers, but particularly the students, was fantastic to see. Keep a look out for A BBC Radio 3 broadcast of the BBC Philharmonic concert from the Festival in the coming weeks, and for some high profile further performances coming later in the year.